A collection of much-loved fairy tales retold for modern listeners. The Once Upon a Timeless Tale Collection is a contemporary retelling of the most well-known and best-loved fairy tales of all time. Traditional stories from Hans Christian Anderson and Charles Perrault are brought alive for a fresh generation of listeners, giving these timeless classics a new lease of life. 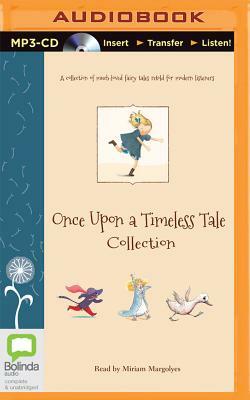 Once Upon a Timeless Tale Collection belongs in every child's audiobook collection.